The paper presents the results of wettability tests by a sessile drop method coupled with residual gas analysis for the HASTELLOY® X substrates contact heated with brazing filler metal of Palnicro 36M. The contact angles formed between the substrate and the molten brazing filler metal were recorded by high-speed high-resolution CCD camera using two different heating procedures: (1) fast continuous heating to a temperature of 960 °C; (2) isothermal heating at a temperature of 995 °C for 10 min after step heating to the test temperature. 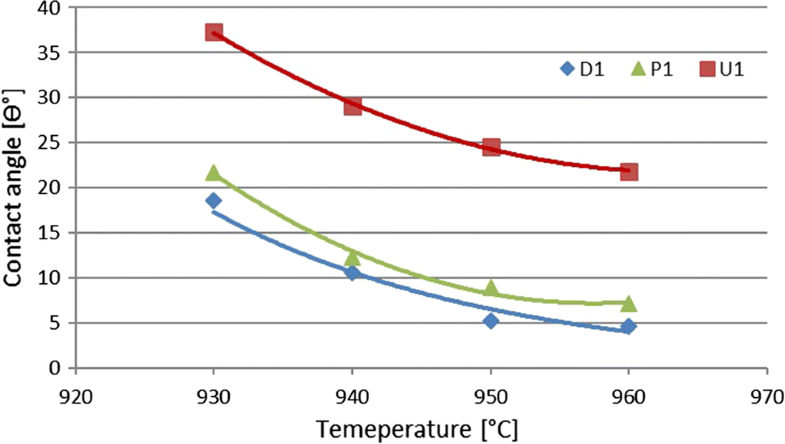 In this study, the reference sample was HASTELLOY® X in a delivery state (D1). The base material with a different surface finish was also tested: after polishing (P1), after polishing and oxidation at a temperature of 600 °C for 1 h in the air (U1). The tests confirmed very good wetting properties of Palnicro 36M on HASTELLOY® X, independently on its surface finish and the heating procedure used in this study, i.e., after 10 min at 995 °C, the final contact angle values were θf = 7.6 ± 0.1°, 6.03 ± 0.07° and 6.2 ± 1.0° for D1, P1 and U1, respectively. However, oxidation of HASTELLOY® X surface affects the wetting kinetics and spreading of molten Palnicro 36M on BM substrates by: (1) increasing the initial contact angle values (θ0 = 51 ± 4°, 65 ± 13° and 83 ± 2° for D1, P1 and U1, respectively), (2) delaying the wetting process and (3) reducing the spreading area since after wettability tests at 960 °C, the largest area covered with solidified Palnicro 36M drop was noted for D1 (92 mm2) while the smallest one for U1 (52 mm2). This article is an invited submission to JMEP selected from presentations at the 73rd World Foundry Congress and has been expanded from the original presentation. 73WFC was held in Krakow, Poland, September 23-27, 2018, and was organized by the World Foundry Organization and Polish Foundrymen’s Association. The online version of this article ( https://doi.org/10.1007/s11665-019-03998-0) contains supplementary material, which is available to authorized users. HASTELLOY® X is solid solution strengthened nickel-based superalloy of Ni-Cr-Fe-Mo system with outstanding combination of high-temperature strength, oxidation resistance, weldability and good fabrication characteristics (Ref 1). The combination of listed advantages causes that this material is readily applied in the aviation industry. Together with Inconel 718 and 625, HASTELLOY® X is most often used among nickel superalloys in the constructions of aircraft engines. The parts produced from HASTELLOY® X have exceptional creep resistance and heat resistance even up to a high temperature of 1200 °C. For this reason, it is used in combustion chambers, afterburners and honeycomb seals (Ref 2). The HASTELLOY® X occurs in various forms, among others in the form of sheets, plates, rods, bars, pipes, fittings and forgings. Continuously increasing cost of such components justifies greater interest in joining techniques both for manufacture of components with a complex shape and for their repair. One of the methods of joining superalloys applied in the aviation industry is vacuum brazing (Ref 1, 2). Usually, for components designed to work at relatively low temperature, silver-based brazing filler metals (BFMs) are successfully used in many applications. Increasing the exploitation temperature results in requisite use of gold-based or nickel-based BFMs (Ref 2-5). These silver, gold and nickel BFMs were classified by American Welding Society. There is also a group of Ni-based alloys with palladium, named by the manufacturers as precious brazing filler metals. One of them is Palnicro 36M alloy of the Ni-Pd-Cr-B-Si system. It found application in the aerospace industry for joining different alloys from Inconel and Hastelloy groups, predominantly for joining parts, which are located in the high compressor/low turbine sections (Ref 6-8). This work is focused on scientific aspects of joining HASTELLOY® X alloy by brazing, particularly, on the effect of alloy surface finish on the wetting behavior of selected commercial BFM. The HASTELLOY® X produced by Hayness International Inc. was used as the substrates for wettability tests. The nominal composition of HASTELLOY® X is shown in Table 1.
after polishing and oxidation at a temperature of 600 °C for 1 h in air, designated as U1. As BFM, commercial high palladium Ni-based alloy Palnicro 36M (Morgan Advanced Materials) was used in the form of a foil with a thickness of 0.05 mm. This BFM has good strength properties at elevated temperature and good resistance to oxidation (Ref 7, 9). A good wetting of Palnicro 36M alloy on Ni-based superalloys of Inconel family has been reported in (Ref 10). The chemical composition as well as the solidus, liquidus and the recommended brazing temperatures for the Palnicro 36M alloy are given in Table 2. Wetting properties of selected BFM/BM couples were estimated by a sessile drop method (Ref 11, 12) in a vacuum. Due to the similarity to the classical brazing process, the contact heating procedure was used, i.e., BM and BFM are heated together, being in constant touch during whole cycle of heating from room temperature up to testing temperature. Wetting tests were carried out in two different devices. The first type of wettability test was made in the device #1 designed and made at the Department of Welding Engineering of the Warsaw University of Technology. The device #1 is used to observe the course of high-temperature processes in a vacuum. The image of the inside of the working chamber, including the contour of the liquid drop on a solid substrate, is recorded as a function of time and temperature by means of a camera and next sent to a computer acquisition station for the measurement results. In these tests, the BM substrates of 20 × 20 mm size and the pieces of BFM foil weighing 0.15 g were used. The tests were carried out at a pressure of about 10−4 mbar. The samples were heated up to 900 °C at a rate of 200 °C/min, after which the heating rate was reduced to 20 °C/min. The measurement consisted in registering the contour shape of the drop from the moment of BFM sample melting and the creation of a symmetrical drop, every 10 °C upon continuous heating to a target temperature of 900 °C. Three tests for the same BM/BFM system were carried out. The second variant of wettability tests was performed in a vacuum of p = 10−6–10−5 mbar using the device #2 developed at the Foundry Research Institute for comprehensive investigations of the properties of liquid metals and alloys at high temperature (Ref 13, 14). The entire wetting process was recorded using a high-resolution high-speed Microtron 1310 digital camera with a rate of 100 fps. For these tests, the BM substrates of 15 × 15 mm size and pieces of BFM foil weighing 0.18 g were used. Moreover, in contrast to the tests performed in the device #1, a temperature profile used for the tests in the device #2 was similar to that commonly applied in industrial brazing process (Ref 15). The heating rate was 15 °C/min. During the heating up, two thermal arrests and isothermal heating below the solidus of BFM were complied. At the target temperature of 995 °C, the BM/BFM couples were held for 10 min. For comparison, the thermal profiles for both types of wettability tests are shown in Fig. 1. Immediately prior to testing, all materials were degreased in an ultrasonic washer in acetone (device #1) or isopropanol (device #2). During entire tests in the device #2, the residual gas analysis was carried out using the quadrupole mass spectrometer QMS-200 manufactured by Pfeiffer. Solidified BFM/BM couples were subjected to structural observations by optical microscopy (OM) using Olympus SZ40 and scanning electron microscopy (SEM) using Jeol JSM-IT100. In this work, in order to minimize the influence of oxygen, the wettability tests were carried out in a vacuum, i.e., under conditions that mimic industrial brazing process. During the high-temperature process in the furnace, for materials containing elements with high affinity to oxygen, even the smallest spills can significantly worsen their wettability (Ref 11-13). The study of the influence of the protective atmosphere in the form of vacuum on the HASTELLOY® X and Palnicro 36M alloys was based on the analysis of residual gases released during the wettability tests. 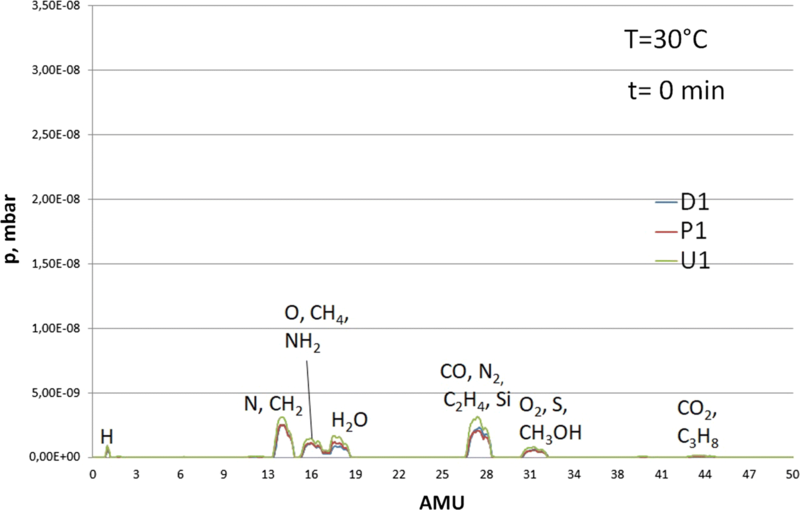 The intensity of occurrence of molecules with a specified atomic mass during the entire thermal cycle is shown in Fig. 2. The main gases recorded upon heating are H2, H2O, CO and CO2. The increase in temperature resulted in enhanced gassing, mainly from the open surfaces of the samples. Peaks corresponding to the decomposition of hydrocarbon compounds have been registered, which may come, e.g., from vacuum grease or substances such as acetone or isopropanol used for cleaning brazed materials (Ref 16, 17). At the beginning of heating, the gassing intensity is slight. Figure 3 shows the partial pressure of residual gases registered in the working chamber for the initial conditions. At this stage, the highest gassing intensity was recorded for the polished and oxidized sample U1. The temperature rise caused the trend to reverse, i.e., at 995 °C, the highest gassing intensity was recorded for the sample D1 (Fig. 4a) while the sample U1 is characterized by the lowest gassing intensity. At the highest temperature of 995 °C, the most intensively released was H2O vapor. 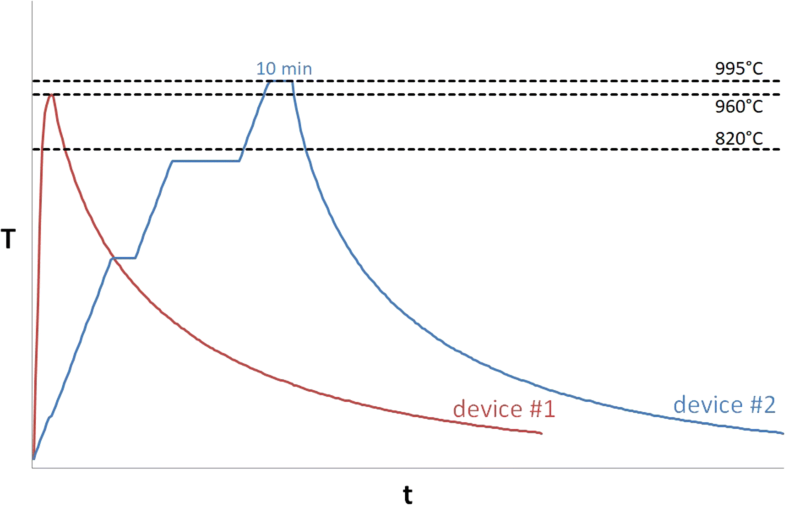 Additionally, for 995 °C after a 10-min holding time, an increase in the intensity of gassing was registered in relation to the moment when the target temperature was reached (Fig. 4b). The gaseous environment during the process carried out at high temperature has a significant impact on the wettability of materials by affecting the values of the three basic energies γLV, γLS and γSV. Oxygen partial pressure is of particular importance in these conditions. Both HASTELLOY® X and the Palnicro 36M contain the alloying elements that have high affinity to oxygen. The RGA data show small amounts of released molecules. The obtained results indicate the high purity of the used materials. The rightness of choosing a vacuum as a protective atmosphere has been confirmed. 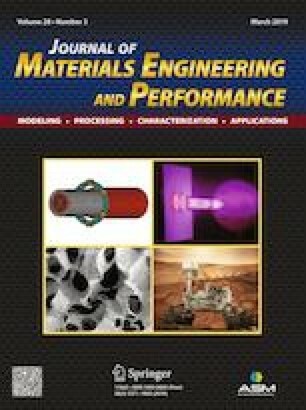 It should be highlighted that polishing of BM surface caused a slight reduction in gas emissions during a high-temperature heating in a vacuum while the smallest amounts of released gases were obtained for the polished substrate that was oxidized in air at 600 °C just before wettability test in vacuum. At 995 °C, the biggest difference in the gassing intensity was recorded for the H2O vapor. 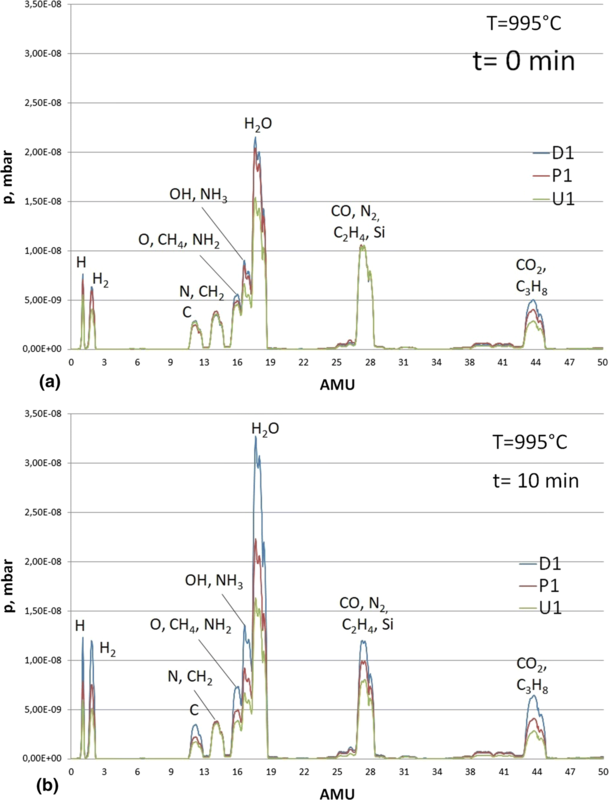 From comparison of the type and amounts of released gases, one may conclude that the applied pre-oxidation treatment of freshly polished HASTELLOY® X substrate caused the desorption of water from the surfaces of BM and this finding is in a good agreement with previous results published in Ref 13. Moreover, low surrounding pressure coupled with high temperature could cause evaporation of some elements from BM or BFM (Ref 18). In this regard, RGA results may suggest the possibility of Si partial loss from materials. However, N2, CO and C2H4 have the same atomic mass (28 amu), so it is not possible to determine on the basis of only RGA whether Si was released from the surface of the tested materials. On the other hand, the analysis of vapor pressure of metals as a function of temperature (Fig. 5) excludes the evaporation of both Si and other main alloying additions of HASTELLOY® X and Palnicro 36M alloys (Ni, Pd, Cr, Fe and Mo) under brazing conditions recommended, e.g., for such elements at a pressure of 10−4 mbar, the temperature of intensive evaporation exceeds 1000 °C (Ref 19). Rapid heating up of the materials evidenced notable differences in the wetting behavior of the liquid BFM on the BM surface in the delivery condition, polished and oxidized after polishing. Figure 6 shows the representative images of the couples upon heating to the test temperature of 960 °C and recorded at a temperature of 940 °C (i.e., when the BFM might be not completely melted) with a corresponding contact angle of 10.6° on the BM substrate in delivery state, contrary to almost three times higher contact angle of 29.1° formed on oxidized substrate. During further rapid heating, wetting was completed at the liquidus temperature of the Palnicro 36M alloy (960 °C). The contact angles were determined from both sides of the drop contour, and the results were averaged. The temperature dependence of wetting with Palnicro 36M is presented in the form of a graph in Fig. 7. Differences between the contact angles for D1 and P1 were very small. The sample with polished surface had worse wettability. This was related with the reduction in the surface roughness (Ref 20). A more noticeable deviation was observed for the U1 sample. The oxidation of HASTELLOY® X surface caused a significant deterioration of wettability during test variant with rapid heating up. The process of wetting the HASTELLOY® X substrate with Palnicro 36M was repeated in the device #2 (Fig. 8). 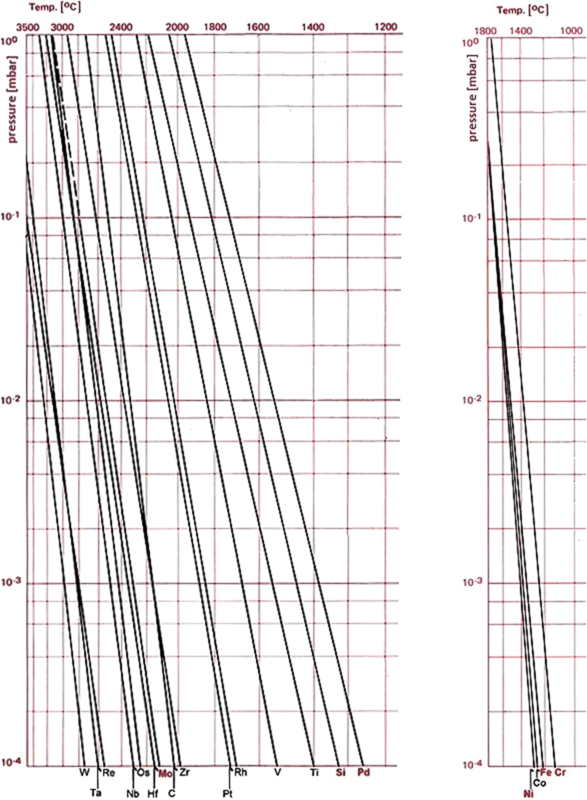 In the initial wetting stage, discrepancies in the contact angle values for individual surface preparation variants were recorded. 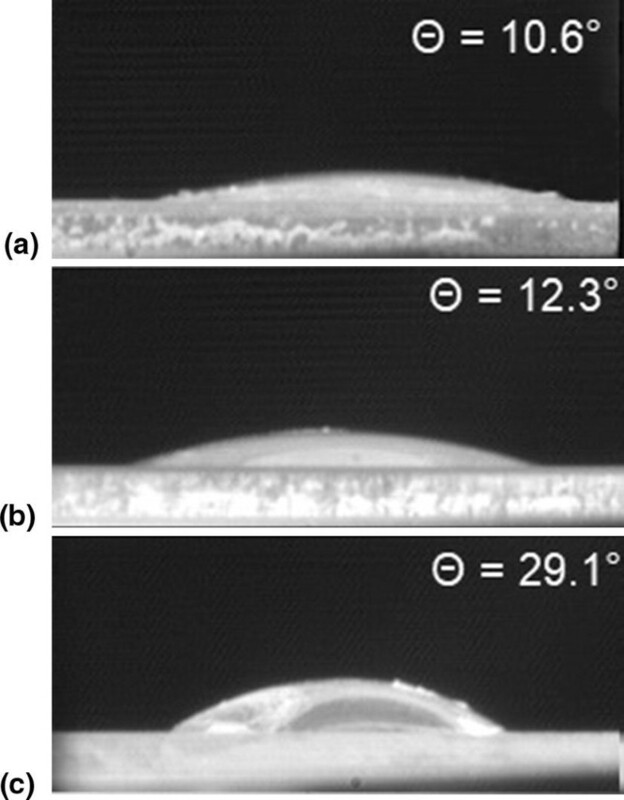 Immediately after complete melting, BFM wets all examined BM substrates forming the contact angle of θ0 = 51 ± 4° on the substrate in delivery state D1, θ0 = 65 ± 13° on the polished substrate P1 and θ0 = 83 ± 2° on the polished and oxidized substrate U1. However, there is no significant difference in the values of the final contact angles formed under identical conditions on three types of substrates since the measured values are as follows: θf = 7.6 ± 0.1°, 6.03 ± 0.07° and 6.2 ± 1.0° for D1, P1 and U1, respectively (Fig. 8). The results confirmed the good wettability of HASTELLOY® X substrates by liquid BFM containing Pd addition, independently on the type of substrate surface finish. Nevertheless polishing and oxidation caused a slower wetting of BM surfaces (Supplementary Materials: movies #1, #2 and #3 corresponding to the tests on D1, P1 and U1 substrates). BFMs containing Pd are characterized by very good wettability and spreadability on many metallic materials. In Ref 21, the effect of this element addition on the spreading was shown on the example of a joint with the Inconel 718 superalloy. The results for BFM #36 (36Pd, 48.7Ni, 11Cr, 2.2Si, 2.1B) were referred to alloy BNi-2. In the test, a better result was obtained for the alloy containing Pd, which unlike in the BNi group BFM, evenly spreads in every direction (Ref 21). In this work, the very good spreadability of the Palnicro 36M BFM on Ni-based superalloy substrates was confirmed. Visual observation of the solidified couples after the high-temperature tests at 995 °C for 10 min shows uniform spreading of molten BFM alloy along BM surface. No significant differences were recorded in relation to the BM surface condition (Fig. 9). Similarly to wetting, significant differences were observed for samples made in the device #1. Rapid heating up and ending the process at 960 °C caused that BFM drops on differently prepared surfaces of BM substrates differed from each other in shape (Fig. 10). In order to determine the spreadability, the measurements of the surface area of the Palnicro 36M drops were made on the HASTELLOY® X alloy substrates. As in the case of contact angle measurements, the sample D1 had the best spreadability. The smallest surface area was obtained for U1 (Fig. 11). 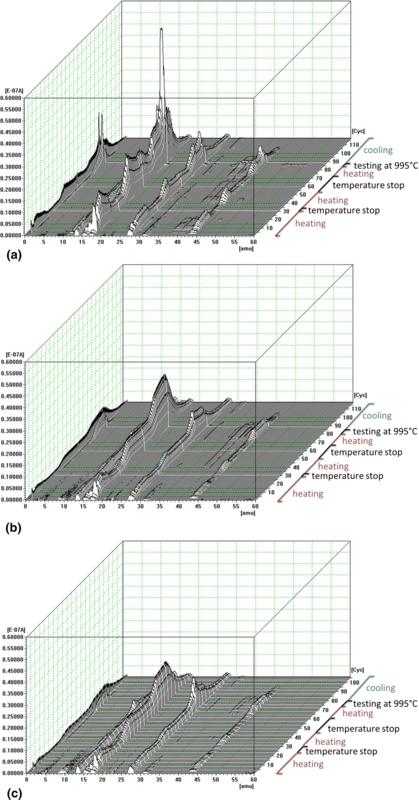 The results of wettability study coupled with residual gas analysis show that independently on the type of substrate surface finish (i.e., in delivery state, after polishing and polished substrate after oxidation) and heating procedure (fast continuous heating and step heating) used in this study, the HASTELLOY® X substrates display very good wetting with molten Palnicro 36M alloy. However, oxidation of HASTELLOY® X substrates affects wetting kinetics and spreading of molten Palnicro 36M alloy. Particularly for fast heating, higher contact angle and smaller spreading area are formed on oxidized HASTELLOY® X substrates, as compared to non-oxidized counterparts. These findings should be taken into consideration when developing industrial brazing process of HASTELLOY® X with brazing filler metal of Ni-Cr-B-Si system containing Pd.